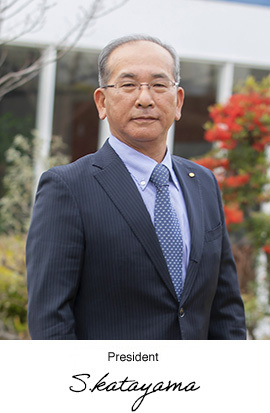 Message from Executive Officers | Gifu Auto Body Co.,Ltd. Striving to be a “small but SMART” company. Society, the economic system, the lifestyles, and sense of value of people, etc., all dynamically interact and are constantly changing. We at Gifu Auto Body grasp these changes and actively adapt to them. Our fundamental stance is to read future trends and respond in advance. Based on our flexible thinking and planning skills, and by taking advantage of the knowledge and technologies we have accumulated since the founding of the company, we create a great variety of products. With our slogan," Make Dreams Come True," our goal is to become a" small but SMART" company in society and in new business fields, in order to meet diversifying social demands from now and into the future.